Almost 600 feet deep, in the bottom of Loch Ness, a robot named Munin has foundthe remains of a large object with a very long neck. It’s the Loch Ness monster—or, at least, a human-made version of Nessie. The 1970 movie The Private Life of Sherlock Holmes featured a glimpse of the Loch Ness monster, and the crew had built a mechanical Nessie to feature in the film. Originally, it had two humps and was 30 feet long. But the director, Billy Wilder, didn’t like the look of it. “The director did not want the humps and asked that they be removed, despite warnings I suspect from the rest of the production that this would affect its buoyancy. And the inevitable happened. The model sank,” Adrian Shine, a Loch Ness expert,told the BBC. Loch Ness is deep lake, and once something sinks to the bottom, it’s not exactly practical to fish it out again. But for Munin the robot, diving 600 feet deep is no big deal: its sonar scanners are accurate at almost 10 times that depth. 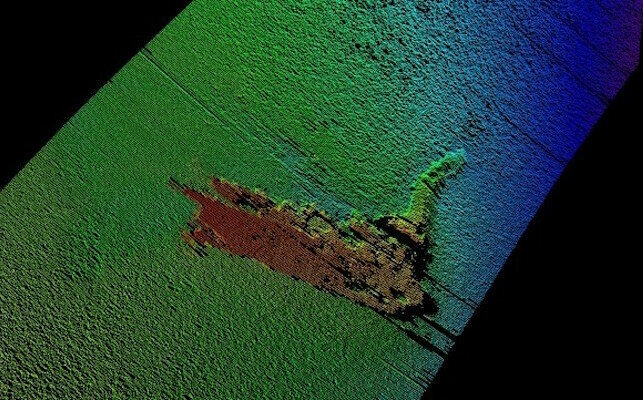 So there you have it: there is a Loch Ness monster hiding in the depths of Loch Ness.